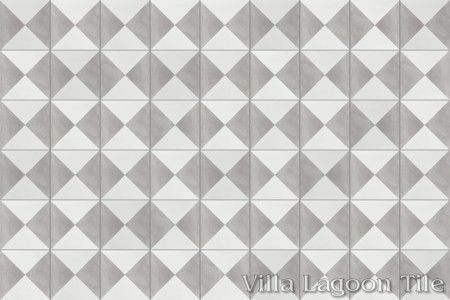 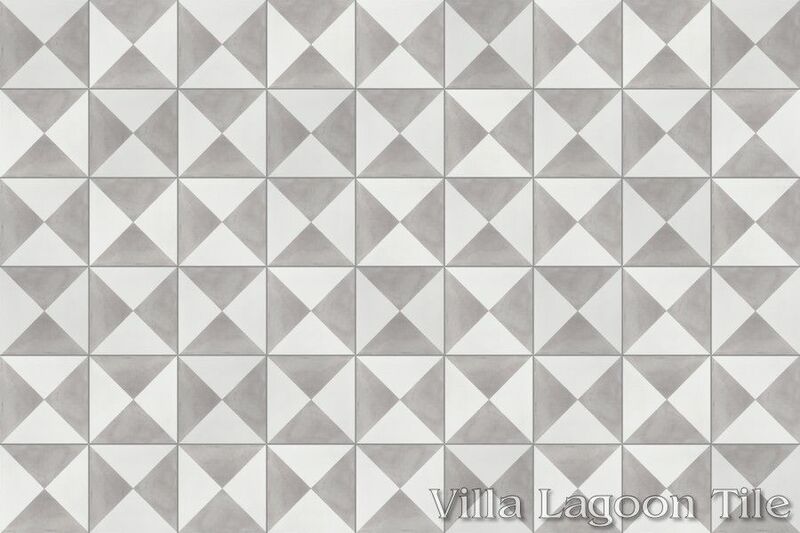 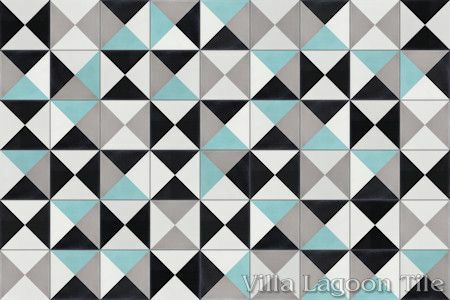 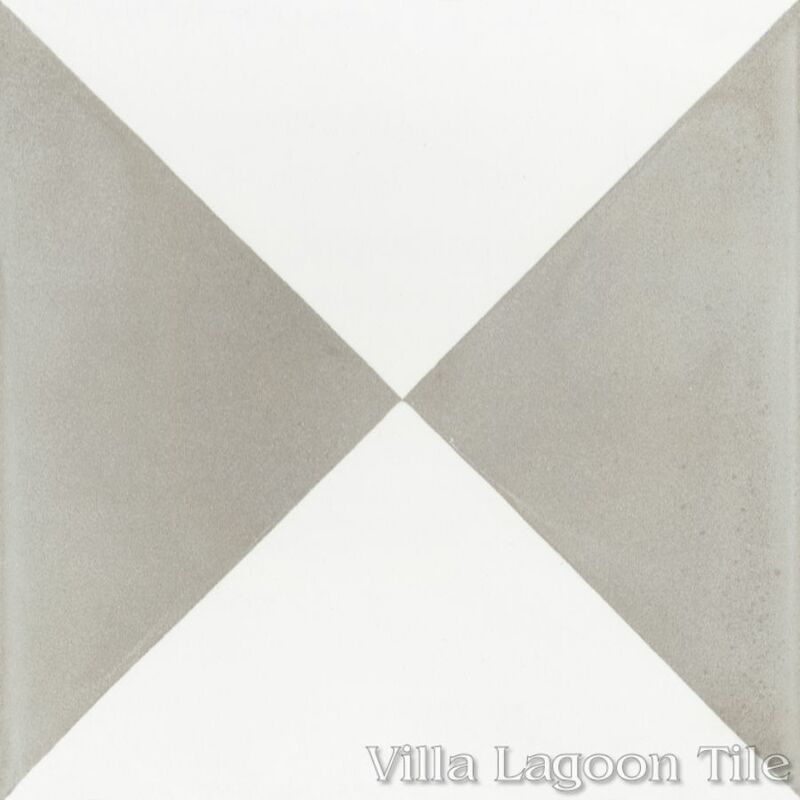 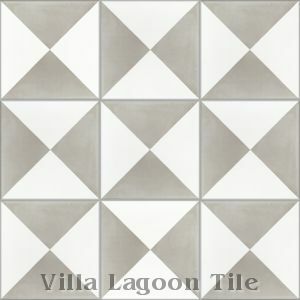 This is a 2-color 8" cement tile, using Featherstone and White from the South Beach Palette. This beautiful bathroom was designed and built by Ridgecrest Designs. 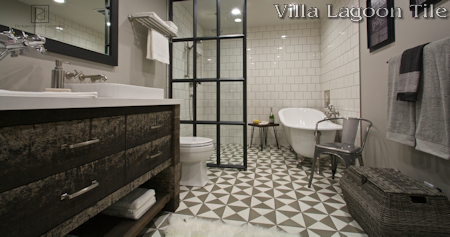 They beautifully blended reclaimed wood, custom ironwork, and our cement tile to create this 19th century inspired bathroom. See more photos on their project page.